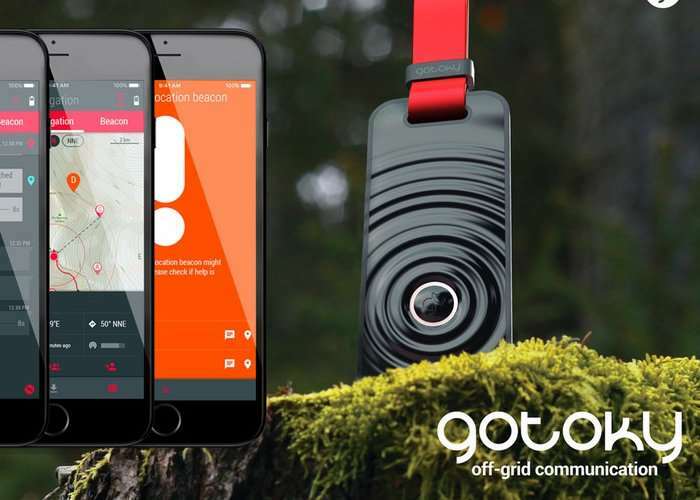 Anyone who needs to stay in contact while off the grid may be interested in a new advanced and secure off grid communication system which has been designed by Gotoky Communication based in Eindhoven in the Netherlands. What’s the demonstration video below to learn more about the voice emergency location beacon, mesh network, texting and navigation system which also provides real-time tracking when no network coverage is available. The development team behind Gotoky explain more about its design, features and inspiration. Having recently witnessed the shocking, heartbreaking news about hurricane Harvey and Irma, and the vulnerability and suffering of the victims, we are even further and more convinced about the importance of communication and connectivity. Gotoky is now available to backfire Kickstarter with super early bird pledges starting from as little as €55, with delivery expected to take place during April 2018.